Imagine a world where smart pantries sense when you are running out of your favourite food and order more of it, without you lifting a finger. Where intelligent robots roam your grocery store, ever at your service. Where dynamic food pricing changes minute-to-minute depending on the weather outside, or what the store down the road is offering. It may sound like a seismic shift in our food retail world, but these technological frontiers are real and the food sector is gearing up in a big way. What is less certain is what impact such changes will have on our health. Just as entrepreneurs must capitalise on future trends when building a business, health professionals must delve into the future of retail technology to identify barriers and opportunities for the achievement of good health. Amazon is one company leading the way with its nascent attempts to revolutionise convenient shopping. AmazonGo is a walk-in-walk-out convenience store where the same types of sensor, vision and deep learning technologies as those used in driverless cars enable shoppers to purchase products without checking out. The concept is currently being trialled in Seattle, USA. 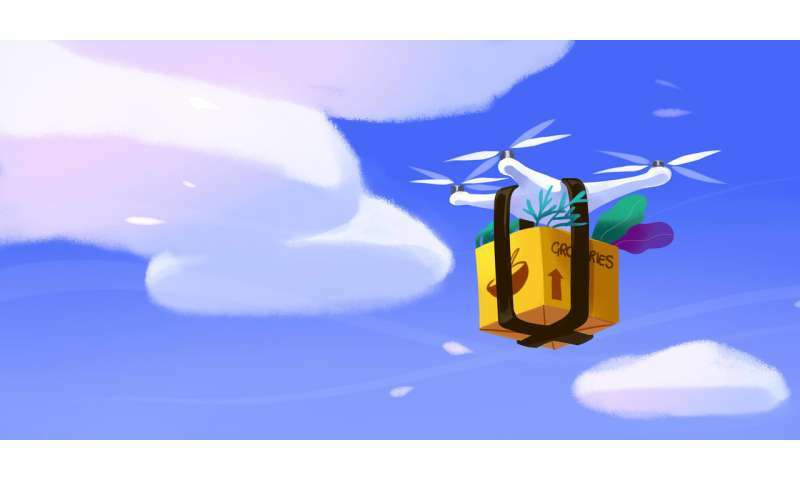 Amazon Prime Air is a conceptual drone delivery system developed to autonomously fly packages to customers in thirty minutes or less. The company made its first drone delivery in 2016 to a shopper in Cambridge, England. A date for large-scale implementation is yet to be confirmed. British food delivery company, Deliveroo, also has an insatiable appetite for food convenience. The company has a vision where eating at restaurants will be a "special occasion" and home cooking will merely be viewed as "a hobby". They plan to use AI and robotics to serve a generation of young diners who know home delivery as being the only way to eat. Amazon makes its first drone delivery. In a world driven by corporate profits and solid stakeholder returns, it is easy to see how the technological frontier may be used to drive up profits and drive down health. An unhealthy diet is now the leading preventable risk factor for the global disease burden. More than 35% of Australian's energy intake comes from foods and drinks that are not considered part of a healthy diet. Yet, not surprisingly, our major junk-food manufacturers and retailers are joining the tech revolution to persuade consumers to indulge in more. Coca-Cola is putting technological solutions to the test. 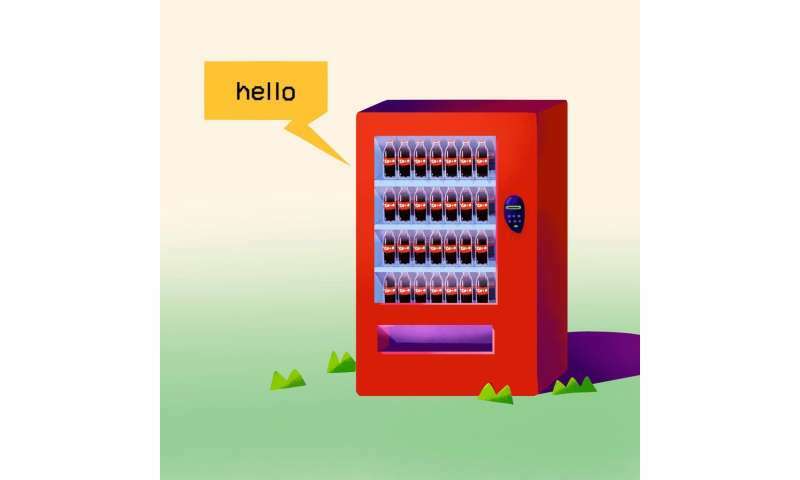 By combining vending machines with artificial intelligence, Coke intends to bring more joy to the purchase of a sugary drink. Vending machines will be able to chat in a two-way conversation, building emotional connections between Coke and consumers. Confectionary giant, Mars, is using "emotional intelligence" – an application of computer vision and machine learning – to gauge facial reactions to product marketing after finding that positive face expressions could predict advertisements with high sales impacts. Kellogg's and Coca-Cola are reportedly also using the technology to optimise their product marketing. We now have a young generation who are more socially conscious than ever before with 73% of millennials believing business could have a positive impact on the world. This generation are also twice as likely to distrust large food companies compared to older generations. We must capitalise on these trends to create demand for a more ethical, healthy and sustainable food system. How can we engineer grocery shopping to be an immersive, salubrious experience? Smart shopping trolleys, equipped with barcode scanners and locating technology, have started to hit retail stores around the world, including in Australia. What if these trolleys were also equipped with resistance controls to incorporate physical activity into your daily shop, with personalised and tailored nutritious food marketing? Or if Google's ocular scanning devices were incorporated into trolley handles to provide you with a health check, simply by scanning the retina of your eye? We could capitalise on retail digital shelf technology to display, not only pricing and nutritional information, but also farm-to-fork traceability of foods at point-of-purchase, and complementary healthy food marketing. Dynamic food pricing systems could be designed to not only align with consumer demand or competitor pricing, but to ensure healthy options are always the cheaper choice. And if we're going to have intelligent robots conversing with customers in stores, let's ensure they steer them towards healthy food choices – making a healthy shopping experience easier, more enjoyable and more convenient. The way we engage with the food sector will fundamentally change in the future. If we keep doing what we have always done, our current efforts to improve health through food may be undermined. We need to think forward to ensure the future of food is steered in a healthy direction.